Like almost everyone growing up on the East coast, my close encounters with cacti consisted of seeing little dish gardens in green houses and meeting an occasional cactus at a friend’s house. I could never figure out the attraction to these unfriendly little plants. The cacti of the dish garden not only didn't flower, but they would stick you any chance they got, drawing blood if they could. They definitely did not appeal to me! 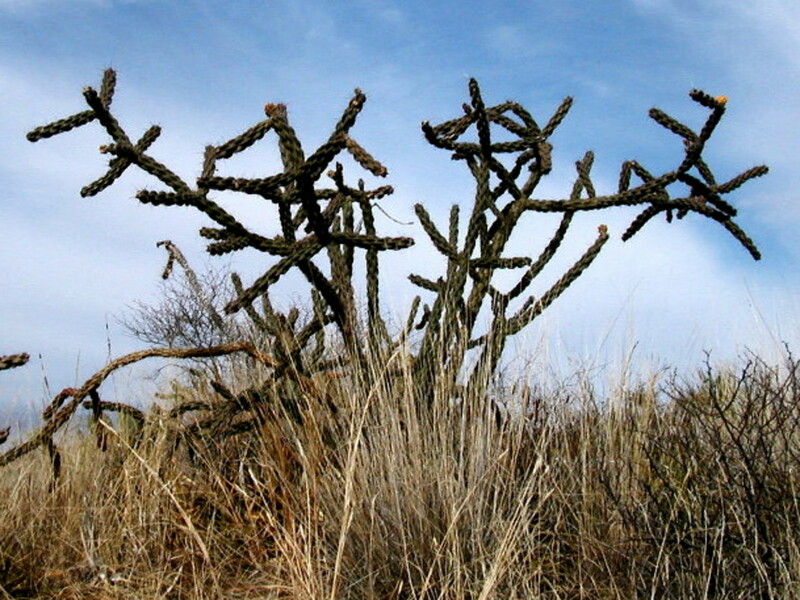 It was many years before I had the chance to see a “real” cactus in its natural desert landscape environment. When I did, I fell in love. This article is about cacti I’ve known and loved as we traveled through the southwest deserts in our RV. The first real cacti that I met close up were in Big Bend National Park. The size of the cacti amazed me, and I couldn’t stop taking pictures of every cactus that I saw. As we drove through Texas in our motorhome, the landscape was dotted with vegetation. It was only when we finally arrived at Big Bend National Park and began walking the trails that we realized how large some of the cactus plants were. 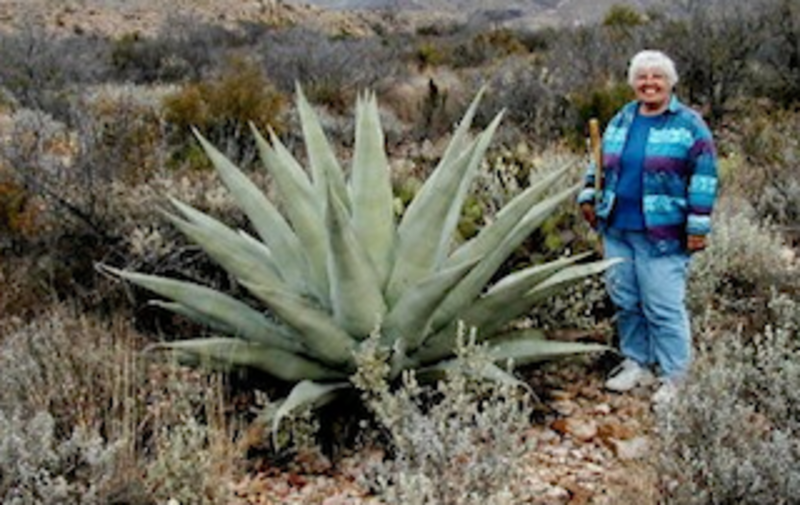 While the agave is classified as a succulent, in my ignorance, I lumped it together with all the other huge, thorny plants that we found growing around Big Bend National Park and thought of it as another cactus. My first sight of a saguaro (pronounced suh-wah-roh) cactus was in the Sonoran Desert in Southern Arizona as we made our way towards Tucson. Saguaros dotted the hills here and there, and I couldn’t wait to get a closer view. When we finally did drive into Saguaro National Park, I was speechless! The amazing giants appeared everywhere, alone or in groups and in seemingly endless forests. Some were tall, dignified towers without branches while others stood comically with arms akimbo, reaching for the sky or pointing at some distant hill. Knowing that a saguaro cactus takes 40 years to reach a height of ten feet and doesn't begin sprouting branches until it's around 75, made it more awesome. Some of the 30 foot tall giants that we saw must have been over 100 years old! The Saguaro Cactus Is so Magnificent! It's Hard to Stop Photographing! 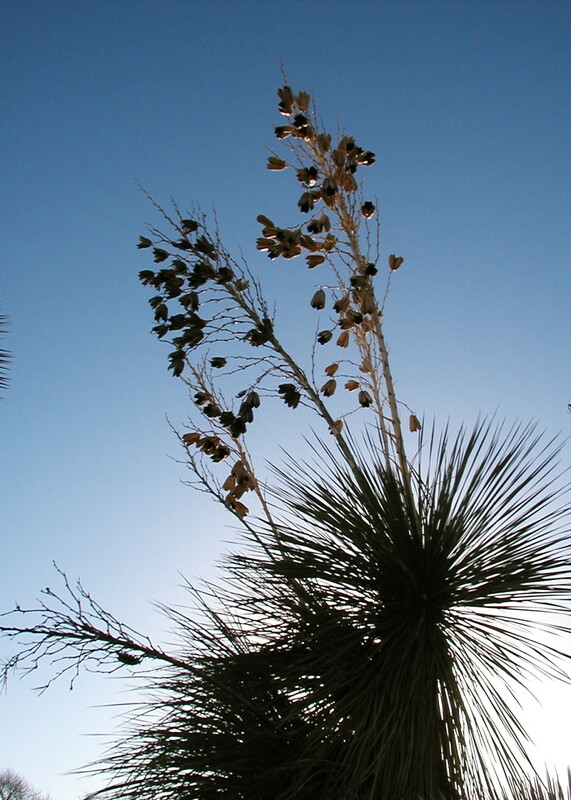 The Ocotillo Cactus grows in groups of straight branches reaching for the sky. When I first saw them in Arizona, it was during a dry spell in January, and they all looked gray and dead. However, a week or so after a rain, we noticed the stems turning green as they sprouted tiny green leaves up and down every branch. It was so delightful to see the feathery red blooms appear at the ends of each long branch, and sometimes, if we were lucky, we would see bright hummingbirds buzzing around the blooms! Teddy Bear Cholla are found over the southwest, sometimes alone, but often in large congregations. When the sun hits them, they look so deceivingly fuzzy and soft that it's not hard to see why they were named "Teddy Bear". However, I learned the hard way that their other name, Jumping Cholla, is well deserved! I inadvertently backed into one while photographing some wildflowers, and spent the next 15 minutes whimpering in pain as my husband removed thorns from my, ahem..., tender flesh. The thorns don't really jump, but all it takes is a light brush with the plant, and you'll have a painful reminder not to invade the cholla's space! 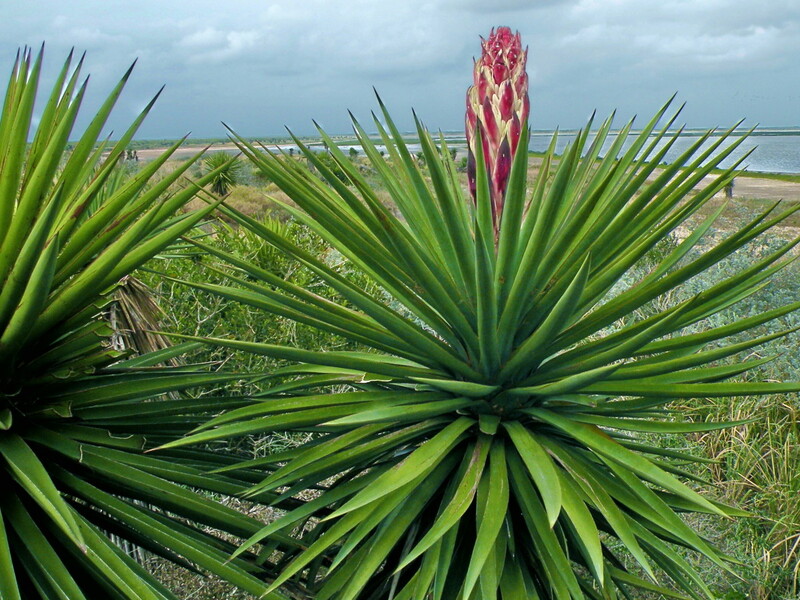 It was common to see the Yucca wherever we went in the southwest, but the Laguna Atascosa National Wildlife Refuge in the Rio Grand Valley at the southern tip of Texas was abloom with them when we visited. Although the Yucca is not in the cactus family (it's an Asparagaceae), I didn't know that until much later. To me, any plant in the Southwest that was out to draw blood must be a cactus! The pink tinged buds are just as beautiful as the striking creamy white blossom heads that eventually bloom with a profusion of flowers. The Staghorn Cholla was just coming into bloom in March as we headed out the dirt roads towards Castle Dome. I watched closely to see if I could spot the flowers that were usually on the sunny side and towards the bottom of the plant. As the whether was getting warmer, there were other plants beginning to flower and leaf out, making it difficult to have a clear view of what was on the ground. I definitely did not want to step on a rattler or some other venomous critter, so I stepped VERY carefully in my photography expeditions! Organ Pipe National Monument was a desert garden the year that we were there. Several rain storms in January provided just enough moisture for flowers to bloom and the desert was turning green. 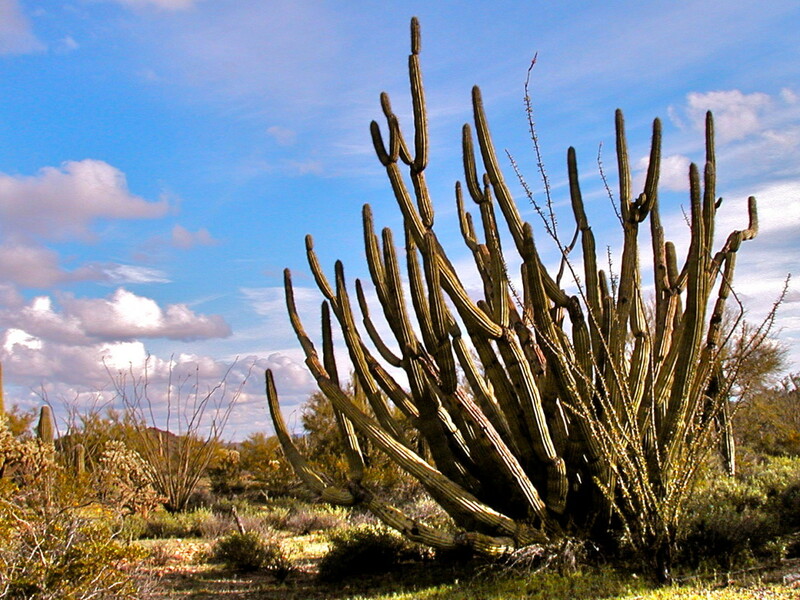 Organ Pipe cacti only grow in a small portion of the southern Sonora desert. They are amazing in their own way as the tall stalks point skyward. 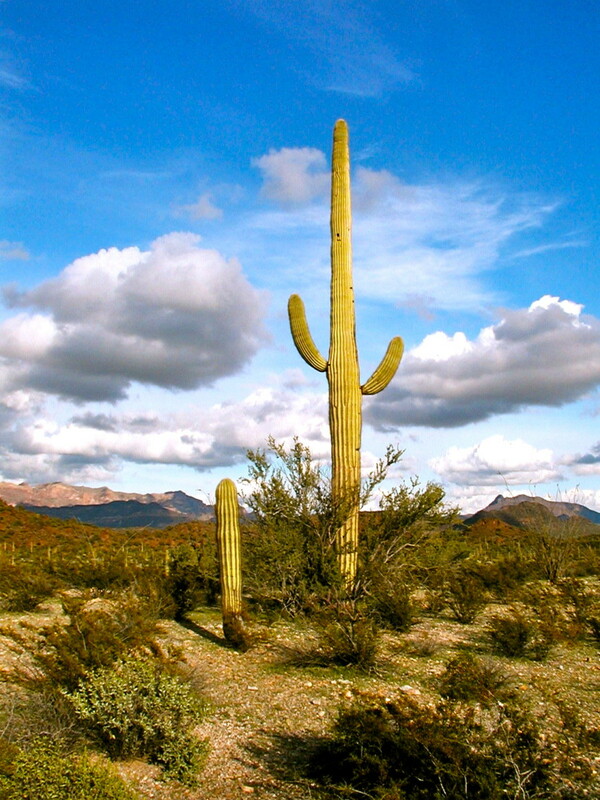 They are the second largest cactus (saguaro is the largest) and will reach heights of 23 feet when mature. Here and there in the desert were the skeletons of old cacti looking like driftwood on the desert floor. The cacti that I photographed in Texas, New Mexico, Arizona and California were a far cry from the cactus dish gardens of my experience. Cacti in their natural habitat were imposing and majestic, comical and beautiful. 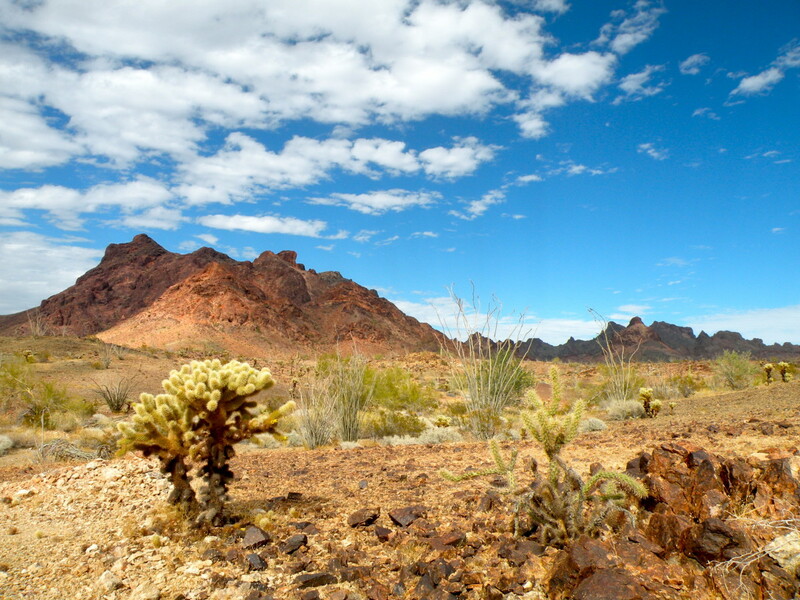 The cacti of the desert landscape survive the harsh conditions of drought and summer heat. They provide food and shelter to wildlife and, at certain times of the year, decorate the desert with their charming flowers and fruit. Silhouetted against the blue sky or red rocks, cacti have a beauty and grace that belies their toughness and resilience. I hope you've enjoyed my collection of cactus photographs as much as I've enjoyed revisiting some of my favorite places through these pictures. Vocalcoach - We are currently camping in Quartzsite, AZ -- not too far from the California border. Here, the saguaro cactus dot the landscape along with many other varieties of cactus. We certainly enjoy seeing the many different plants that grow in the desert --such a change from the east coast! Thanks for reading and for your comments! Jodah - I love the different cacti that we encounter while traveling in the southwestern U.S. The contrast with the rugged terrain and brilliant blue sky is often spectacular, and I particularly enjoy it when we are fortunate enough to see cactus in bloom. Thanks for your comments! Ralph Deeds - I'm so glad you enjoyed my Cactus photographs. Thanks for stopping in and commenting! Beautiful photos and good info. Wonderful photos and information on cacti and succulents. I do like these plants and have a few in my garden. My wife doesn't really understand what I see in them, but when they flower it is usually spectacular. Voted up. Magnificent photos! Educational and very interesting hub. My sister lives in Joshua Tree, Ca. (high desert) where both Yucca plants and Joshua Trees grow. I appreciate these natural Indian Yuccas much more after reading your marvelous hub Stephanie. My pleasure to vote up, and across, excluding funny. Also sharing. Thanks. AllieRambles - I'm so glad that you enjoyed my cactus photographs! Last winter we also camped at Anza Borrego. It was a little early for wildflowers, but we certainly enjoyed the scenery and the wonderful sunsets and sunrises. I grew up going camping in the Springtime to Anza Borrego in Southern CA. The blossoms are just amazing at that time of year! Thank you for bringing me back to my cherished childhood with these amazing plants! Nolimits Nana - I'm so glad you enjoyed my cactus photographs. Thanks for the read and your comment. juneaukid -Big Bend National Park was one of the first places we visited when we first began RVing, and I was amazed at the variety and size of the cacti there. It's a special treat to see some of them in bloom - glad you got to enjoy the ocotillo blooming! Thanks for stopping in to comment. You have created a magnificent hub. 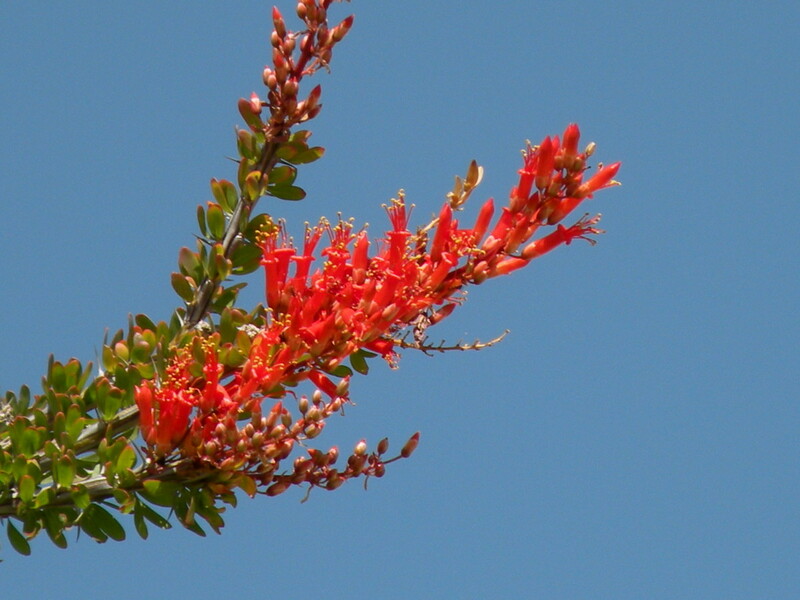 One of my favorites is the ocotillo that I have seen blooming in March at Big Bend National Park in Texas. Brett.Tesol - Some cacti produce edible fruit, others have parts that are peeled and cooked. I have eaten nopalitos (the pads of a prickly pear cactus) in a restaurant, but I don't think I would want to go out and pick my own. Thanks for you comments, and thanks for sharing this article! Wow, you have a real knack with a camera! Wonderful photos, I had not idea they grew so big. Apparently many of them are a tasty food in Asia too, but I just don't know which to 'pick'. Thanks so much, Gail! I was quite surprised and pleased to win Hub of the Day for this hub. The recognition gives me added incentive to do some other photo galleries -- soon, I hope! Congratulations on earning another Hub of the Day award. I loved this hub when it was first published and am glad to see it get the recognition it deserves! Arusho - Glad you enjoyed my cactus photographs! Thanks for the read. Beautiful pictures, I now have another reason to love cactuses! 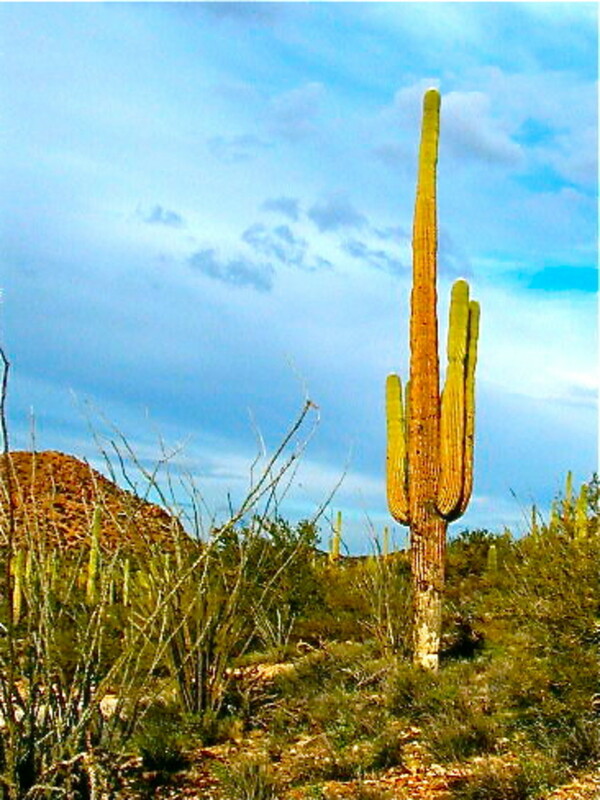 Earthbound - When visiting the Saguaro National Park I attended a Ranger talk about medicinal uses of native plants, and I was amazed at the usefulness of things like cactus and other plants of the desert. It's interesting to know that people of the Philippines are taking advantage of the native plants. Thank you for sharing and for visiting my hub! My elder brother is the green thumb in the family. He plants everything including cacti. Here in the Philippines, some are even used for medication. Jenw3880 - Good luck with your cactus garden. It sounds like a fun landscaping project. Love cactus! I have a cactus garden myself and am trying to collect as many kinds as I can. Suzettenaples - I'm so glad that my photographs were able to send you the message of beauty and serenity that I feel when I'm near these beautiful cactus in the deserts. Thanks so much for your lovely comments! Denise - You sound as if you've had some personal interaction with the Teddy Bear cholla! Yes, we've had some wonderful times exploring the deserts of the Southwest. I wish we were there now! Thanks for stopping by! Time2rite - Though many of the towns have grown, the deserts in between are the same now as they were in the 1980s and cacti flourish. Thank you for stopping in to read and comment. These photographs are just magnificent! I had no idea there were so many types, sizes, and blooms of cacti. This is a wonderful tribute to the southwest section of our nation which I must visit someday. There is such beauty and serenity in these photos. Voted up! and beautiful! I enjoyed this hub immensely as it brought back memories of my trip to California by road from Tennessee in the mid-80's. We lived in California for over 7 years, and I still vividly remember the cacti that littered the deserts there and on our trip out. You have shared some very interesting facts on cacti and the pictures are beautiful. Thank you for sharing your experience with us! well deserved hub of the day, Stephanie-fascinating info here. I'm drawn to the Teddy Bear also, and it was an interesting fact that there is nothing cuddly about them! Thanks for sharing-your adventures look way too fun! Eddiecarrara - I was quite excited to see cactus flowers. My only regret is that we never saw the saguaro in bloom. One day... Thanks for your comments! Kris Heeter - I know what you mean. I find the sizes of the saguaro and some of the other cacti just amazing! CasseyLu -Thanks for your comments! How could I have ignored the Joshua Tree - is it a cactus? Marcy Goodfleisch - Whenever we come back to Arizona, I feel a sense of homecoming - I do love the desert! Thanks for the comments and your votes! DzyMsLizzy - I think you're right about the agave being used to make tequila -- do you have a recipe? :) Yes, the incident with the cholla is a lot funnier now than it was when my hubby was trying to pull out the thorns! Thanks much for your interesting comments! I will have to look up the video you mentioned. Homesteadbound - How neat that you cultivated your own cactus garden when you were young! Haha...the agave was tall next to me, but I AM short! :) Thanks for stopping by to read and comment! Thank you Gryphin, for you lovely comment! Beautiful and informative! Voted up and interesting. I love traveling through Arizona - your hub reminds me why. Amazing as always, thank you for sharing these beautiful cacti!! The pictures are awesome! 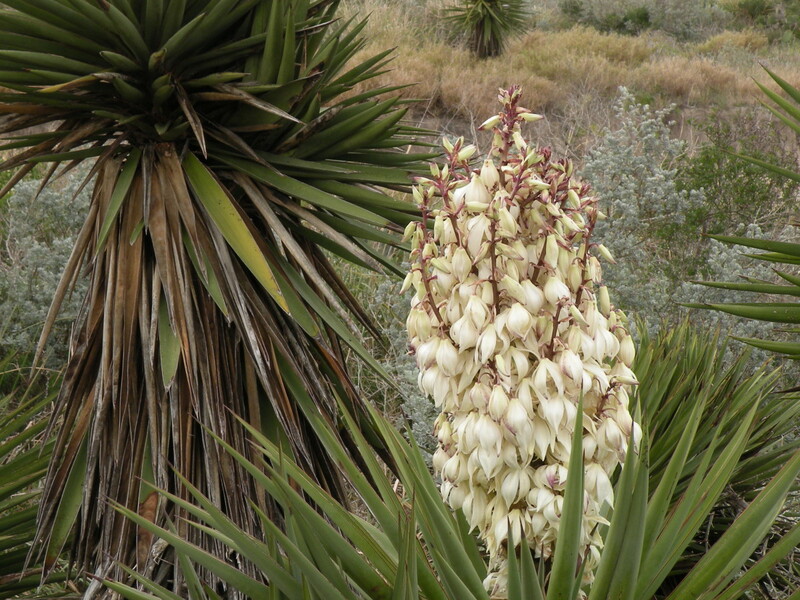 Claudia Tello - The yucca plant in flower did amaze me with its gigantic bud and bloom. Growing up on the east coast, I never saw many of these plants before, and I loved getting a close up look and a chance to photograph them. Thanks so much for your comments! ThePracticalMommy - Glad you enjoyed my adventures with the cacti! I have a feeling most people though it was pretty funny when I backed into the cholla... :) We do enjoy our travels, especially to the western regions of the U.S. where we haven't been before. Thanks so much for the read and for your comments! Swetankraj - Thank you for your kind comments. I'm glad you enjoyed the cactus photographs! Mary615 - Cacti must be the perfect landscaping plant as you seldom have to worry about watering. They do still provide food and shelter for birds and other wildlife. SHolland - Thanks so much for the read and your enthusiastic comments,votes and share! RTalloni - I have to admit that this photo of the Saguaro is one of my very favorites as it really captures the way I feel about the Southwest. Thanks so much for your detailed comments! I have loved cacti since I was a young girl. I used to go out to the pasture and dig them up to grow closer to the house. Although prickly I truly love them. You have created a beautiful of cacti and succulents. 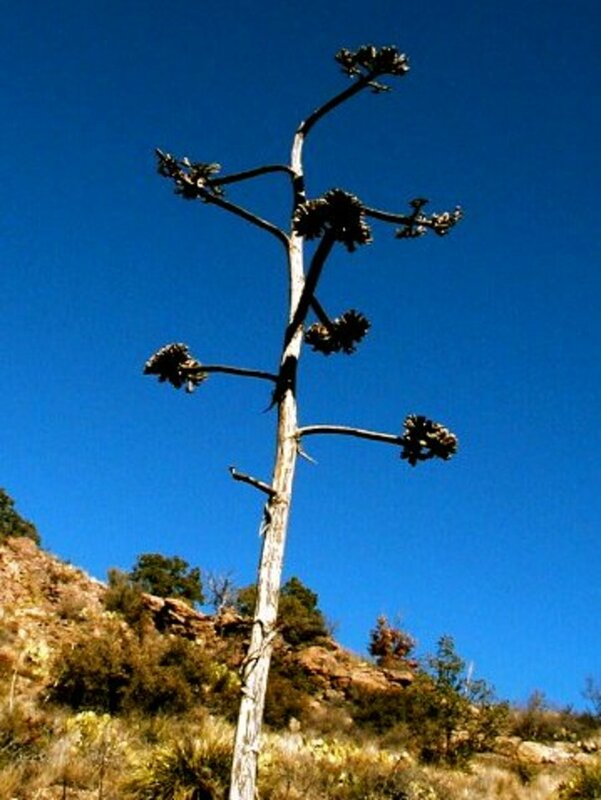 I was amazed at how tall that agave was... it did make you look short. Congratulations on HOTD! Well deserved! These are awesome photos, and it is a treat to see photos by someone who knows what they are doing with a camera. 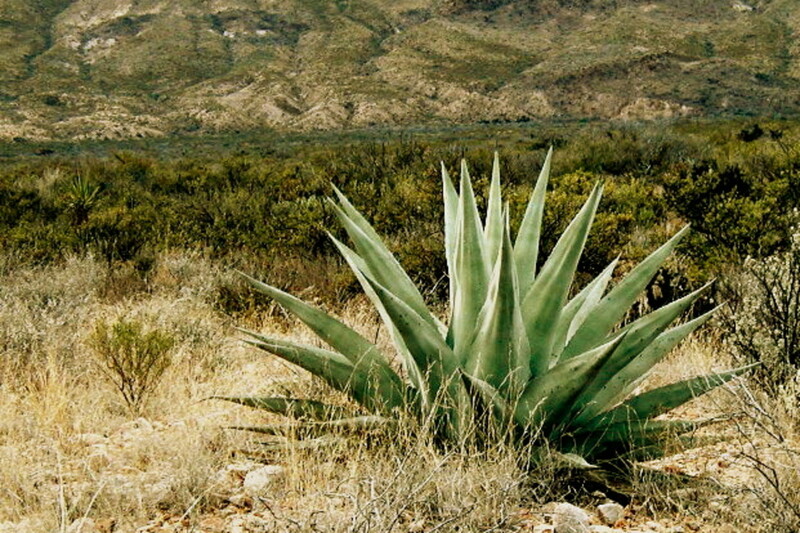 Agave--isn't that what they use to make tequila? Sorry about your--um--'brush' with the cholla...(snicker--that kind of story is always amusing when it happens to someone else, right?) It amazes me that there are animals who can eat these vicious plants without harm. Have you seen the YouTube video of a poor little kitten making the "acquaintance" of a potted cactus? It's sad and funny at the same time. You have some amazing pictures here! I enjoyed having a look at all of them, especially the 4th one with the beautiful agave and the one with the red flowered yucca. I have a yucca in my garden but it has never looked as beautiful as yours. What a nice trip to make! Thanks for sharing your high quality photos. Stunning photography, Stephanie! You really have a talent! I loved reading your real life adventures with these cacti. Some day I hope to do some travelling and see such awesome sights as these. Congrats on the Hub of the Day! Great hub with an excellent pictures. Really those catus are great and i really liked your review. 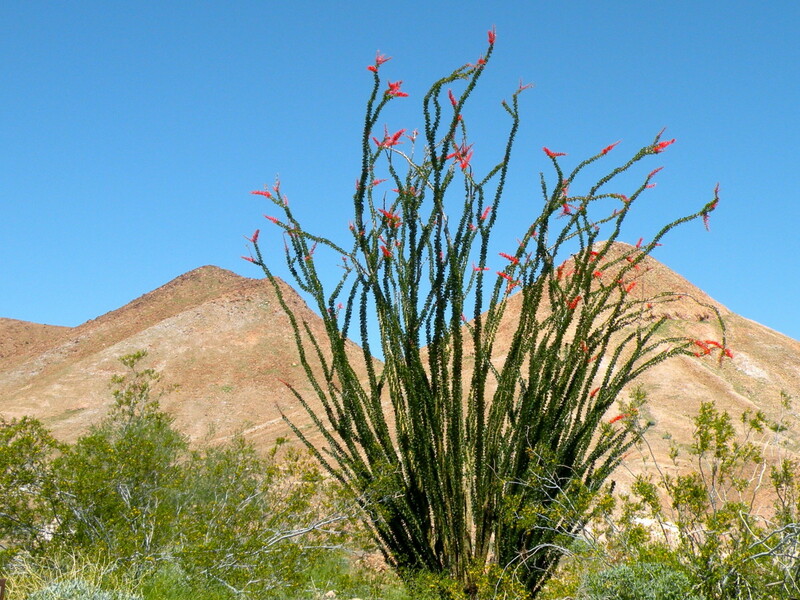 As one of user also said i also even unknown that cactus is also called Ocotillo. Congrats for Hub of the Day. I enjoyed this Hub very much. We grow some cacti in F. Florida, I always enjoy them. Don't have to water them as much as the other plants in my yard! Great hub and absolutely gorgeous cacti pictures!! Voting up, beautiful, awesome, interesting, and sharing!! Terrific pictures! You really capture the beauty of the desert. Gorgeous photos, Steph! You have captured some breathtaking scenery, and displayed them beautifully in a great hub! You certainly deserved Hub of the Day! Congratulations! Neat hub of the day with really nice photos of the southwest's bounty. I especially love the first Saguaro shot's angle (thumbnails) and how the sky seems to be racing behind the hill. The color play in this photo is fabulous. Congrats on Hub of the Day! Faruksohel - Thanks so much for your comment! Tammyswallow - Thanks for the read. All of these nice comments are inspirational! f - Thanks for the interesting bit of trivia! Dahlia Flower - So glad you enjoyed the pictures and found the information useful. If they name roads after it, the ocotillo cactus must grow in your area. They aren't much to look at until they start getting green and the feather red flowers bloom. Thanks for the read! I enjoyed this article and your humor. The photographs are really good. Thanks for all the information. For instance, I didn't know that a cactus is called Ocotillo. I've been on Ocotillo Road -- which goes forever -- in Southern Metro Phoenix but I had no idea it was named after a cactus. Great photos! Well done on being the Hub for the Day. Your photos are outstanding! I love this hub. It is stunning. Thanks for sharing these and I look forward to many more. So well done. Brsmom68 - I love the many shapes and sizes of cacti, and feel fortunate that I was able to view and photograph cactus flowers. Thanks for your comments and your vote! WD Curry - Those teddy bears did jump up and get me - right in a most delicate location! Now I'm much more careful before I back up without looking. :) Thanks so much for stopping by to comment and share! Congratulations on Hub of the Day! Very interesting information about cacti. They are beautiful when in bloom. Voted up and interesting! Your photos are excellent. 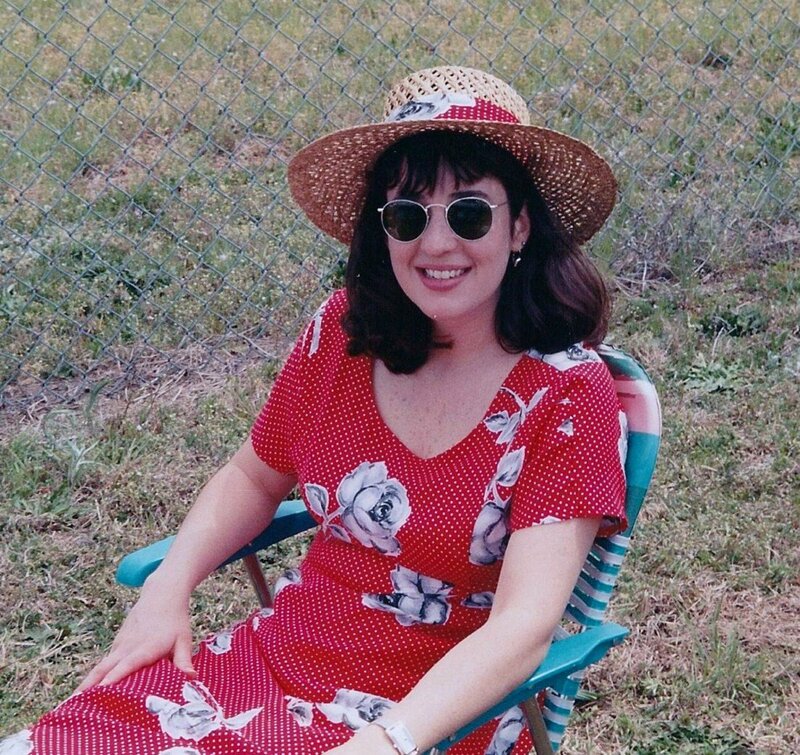 I lived in Tucson as a boy, and my Mom was born in El Paso. This has special meaning for me, and I am glad I came by. Those teddy bears will jump up and come after you! I spent a few long sessions with Mom, and her needle and tweezers. mijdgulley354 - Well, I'm so glad you found me this time around! We've often admired the creative and beautiful landscaping in Arizona that uses cacti and other desert plants. How fun to observe the quail close up! Thanks for sharing your experience. Carozy - Thank you! I love to see cacti in bloom and feel fortunate to have been in the desert at the right time to get some photographs of cactus blooms. I've never had much luck growing them as house plants except for one fantastic Christmas Cactus. Thanks for for your comments! Stephanie, I don't know how I missed this hub but glad it came back around. I loved going out and seeing the different cacti when we lived in AZ. My son had the barrel cactus as well as Ocotilla, Yucca and Staghorn growing in his yard. We loved it when the Quail would come out in the morning to feed. Congratulations on getting Hub of the Day! My roommate loves cacti and we have quite a collection on our back porch. Every once in a while when one blooms, in it goes on to our kitchen table. How lucky you've been to capture cacti in their natural habitat and get pics of them in bloom. Sunshine - Good to see you bringing your sunshine to my hub! Thanks for the good wishes and for your comments! Melovy - You are right, the blue sky of the southwest is very close to the color of my kitchen in my kitchen makeover hub! :) Thanks for the comments! 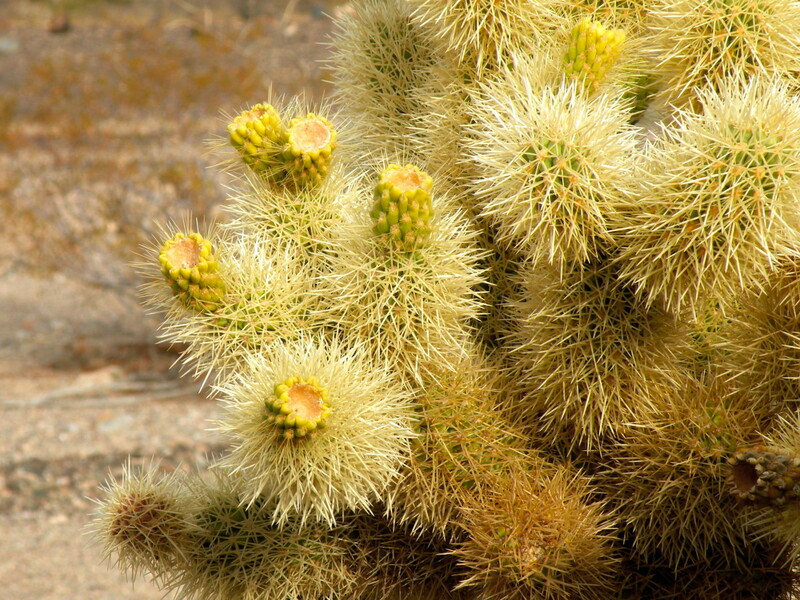 alocsin - Seeing the many different cacti of the Arizona deserts is definitely worth a trip! Thanks for your comment! SJmorningsun25 - I love photographing the cacti in the southwest, and was so pleased (and surprised!) to have this hub recognized as Hub of the Day! Thanks for your comments and your votes! Wesman Todd Shaw - I think that the Saguaro is my favorite, too. Their human-like silhouettes do make you feel as if they hold the ghosts of cowboys past. Thanks for stopping by to comment! I think I'll give my vote to the Peyote as most beautiful, but one shouldn't expect me to appreciate the great American "machine." I guess it's the Saguaro Cactus that looks so much like people standing like frozen zombies in the desert on the highways of the great South Western deserts. I've had fried cactus before dining with Mexican American families, and it tastes pretty darn good too! Fantastic photos! Thanks for sharing with us your love for cacti. Congrats on the Hub of the Day! Voted up, beautiful, and interesting, and shared. Wonderful photos. If I ever get to Arizona, I'll need to go on a cactus tour. Voting this Up and Beautiful. DeborahNeyens - I'm so glad you enjoyed my cactus photographs! Thank you for the well wishes and for visiting my hub! Ssat - The cactus of the Southwest are perfect subjects for photographing, especially when they are framed by blue sky and beautiful mountains. Thank you for your lovely comments! Beautiful photographs, and interesting, too. Congratulations on Hub of the Day! Alinamassy - I'm so glad you enjoyed my Cactus photographs! I had a wonderful time photographing cactus during our visits to the Southwest, and I enjoy sharing the pictures. Thanks for visiting my hub and for your comments! Hi Stephanie, the photos are just awesome, you brought the beauty out of cactus in your photography. Hi Peggy - I'm sure you get to see many beautiful landscapes in your travels. Organ Pipe National Monument is somewhat off the beaten path, but the year we visited, the yellow Mexican poppies were in bloom, and it was amazing. Thanks so much for your comment and your votes! This is a gorgeous hub filled with wonderful examples of the different types of cactus, succulents and the like. The only place you mentioned that I have not yet had the pleasure of visiting is the Organ Pipe National Monument but obviously have seen that type of cactus in other locales. This should definitely be a winner in the contest! All votes up except funny. 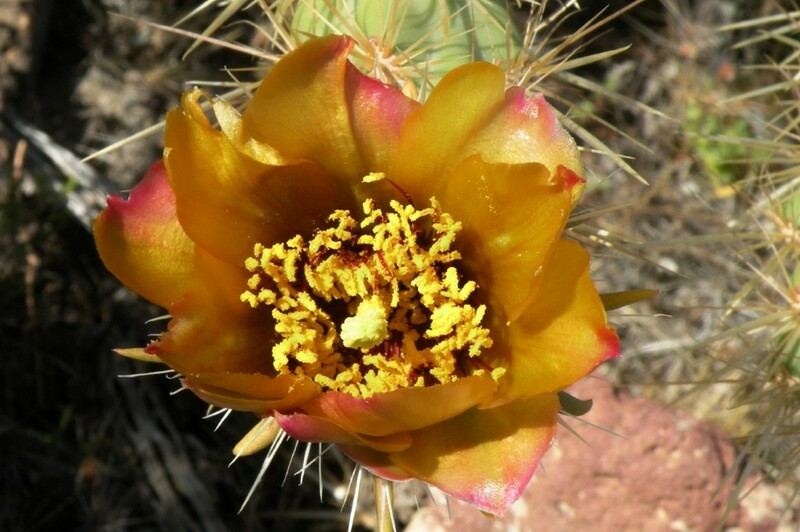 Stephaniedas - I'm so glad that my photo gallery of cactus and the desert landscape gave you a new perspective! Thanks so much for taking the time to visit so many of my hubs! I'm also becoming a great fan of yours! Like you, I am from the East coast and never really "got" the whole cactus thing, but seeing it through your eyes has made me appreciate them more. Hyphenbird - Your comments mean a lot to me as I admire your photography a lot! Those "fluffy" cacti are definitely meaner than they look, as I'm sure you know from your trip. But they are beautiful to see and photograph. Thanks so much for visiting my hub and for your comments! Your Hub is spectacular. The majestic saguaro is gorgeous. The lighting and composition is perfect. And some of those small cacti just are fluff balls. 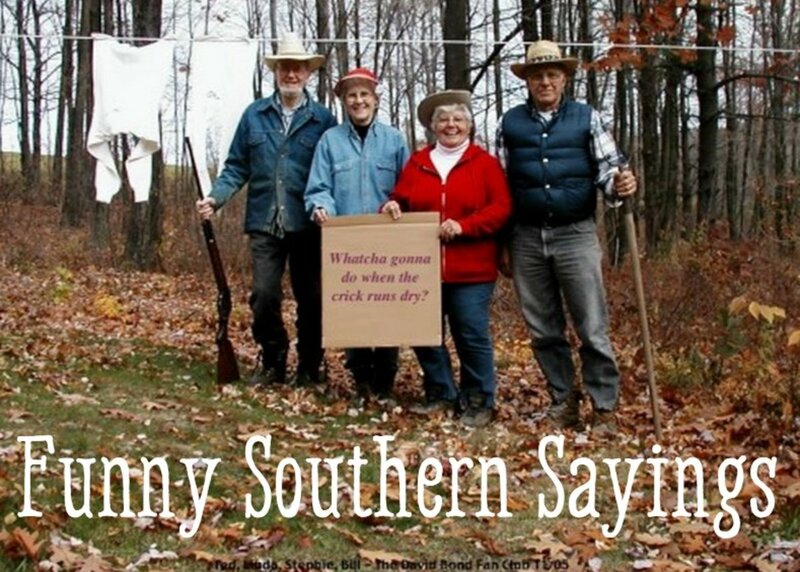 Years ago some friends and I drove from Tennessee all the way out there. I fell in love with the scenery and the desert in general. I would love to be an RV gypsy. Hi Simone - Like many people who grew up among the forests and greenery of the east, I am fascinated by the plants and beauty of the desert, and I'm slowly learning about them. There's much to learn! I'm glad that this article contained some new information for you. Thanks so much for visiting and for your comments! Femmeflashpoint - Thank you for sharing some of your personal stories about your mother and cacti! I'm so glad you liked my cactus photographs - thanks for stopping by to visit and comment! Oceansunsets - Thank you so much for your kind words. I think one reason I love to photograph cacti and the desert landscape is because, growing up on the east coast, I discovered it so late. Even after many wonderful trips to the southwest, I am still in awe of the vast beauty. Thanks so much for stopping in to view my hub and leave your comments! Stephanie - wow! This is such a great photo collection! You "RV People" get to do the coolest things and visit the coolest places, lol! I'm so happy you share the discoveries with us! When my parents relocated to Texas from North Carolina, I was introduced to some cacti (if that's how it's said for plural) my first trip here. And, by the time my parents moved from the city of Fort Worth to the lakeside in Granbury, my mother had come down with cactus-fever. She was an avid gardener, and had the things stragetically planted all over the place throughout her yard. Every time I see one, I can't help but smile and think of the mid-western farm girl growing her cacti gardens.